While at the APHA conference last week I was able to get a sneak preview at an upcoming series, The Raising of America. The series is dedicated to engaging America into how we view early childhood health and development. It begins airing today Nov. 9-30th online for free at The Raising of America . I enjoyed the preview of the first video so much that I thought I’d share my thoughts on the series. I plan to watch the remaining videos with my husband in the upcoming weeks. The Raising of America:Why Are U.s Children Not Thriving? It is a five-part documentary that touches on the question that are on the minds of many parents. Why are American children developing so poorly? What is it like to be a parent in today’s society? What as a nation can we do to help our children? I think the biggest and most pro-founding question is, What policies are helping or hindering us from raising healthy and socially adjusted kids? The documentary addresses issues of daycare cost, FMLA (Family Medical Leave Act) issues, low wages, early childhood exposure to violence. Working long, stressful jobs, with little pay, parents are finding it harder and harder to find proper childcare. As I watched the video my own heart filled with sadness. There are many nights I come home exhausted and overworked, only to have to get up and do it again the next day. “Child well-being in the U.S. has fallen to 26th out of 29 rich nations. Too often parents find their efforts hindered by social and economic forces beyond their control: stagnant wages and job insecurity, lack of paid parental and family leave, childcare that is both poor quality and financially out of reach, racial stigma and social exclusion.” – The Raising of America It raised my own questions, how in a country that is so rich with material things, can we be failing our children so greatly? One of the most heartbreaking take away details from the videos, was the idea that in some areas cemeteries are inspected more than daycare facilities. 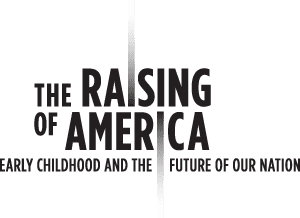 The Raising of America documentary explores the exposure of environments during early childhood development. Being exposed to a nurturing and loving environment can have a positive impact on a child’s emotional and psychological development. The same holds true if a child is exposed to an adverse environment in the early years. It affects how they think, feel and relate to others as they age. The documentary does a great job looking into children that are exposed to Post Traumatic Stress. PTSD (Post Traumatic Stress Disorder) is often associated with military soldiers, but a broader definition shows that post traumatic stress can develop in children from the unexpected or violent death of a family member or close friend, and serious harm or threat of death or injury to oneself or a loved one. 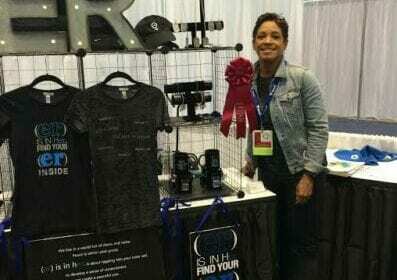 With the amount of violence that is plaguing our cities, we have to be aware of the mental health of little ones and the impact these acts are having on our children. The first video left me angry, sad, motivated, uneasy, and a host of other emotions I can’t explain. I urge you all to take a look at this series. Again. it is free to view online from Nov 9- 30 at The Raising of America . The hope of the series is to start a conversation and find a solution to what can be done to help our children thrive? I ask, whatever happened to the notion it “takes a village to raise a child” Where did the village fail our children?